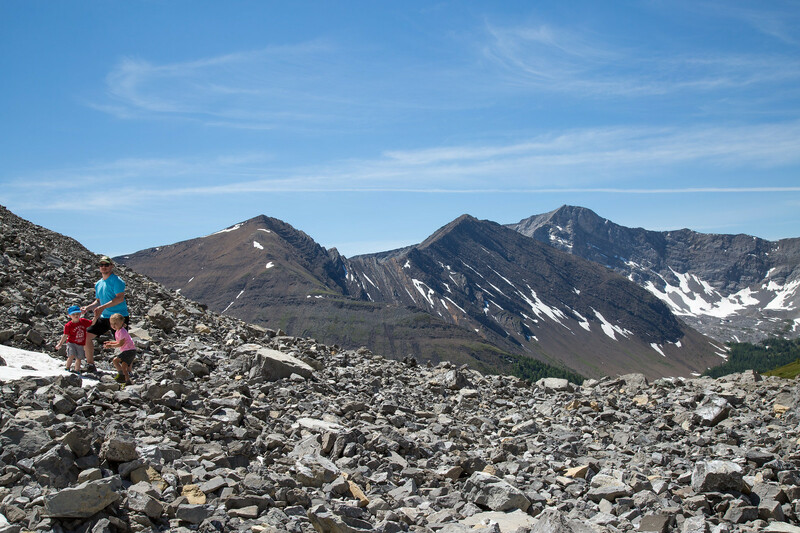 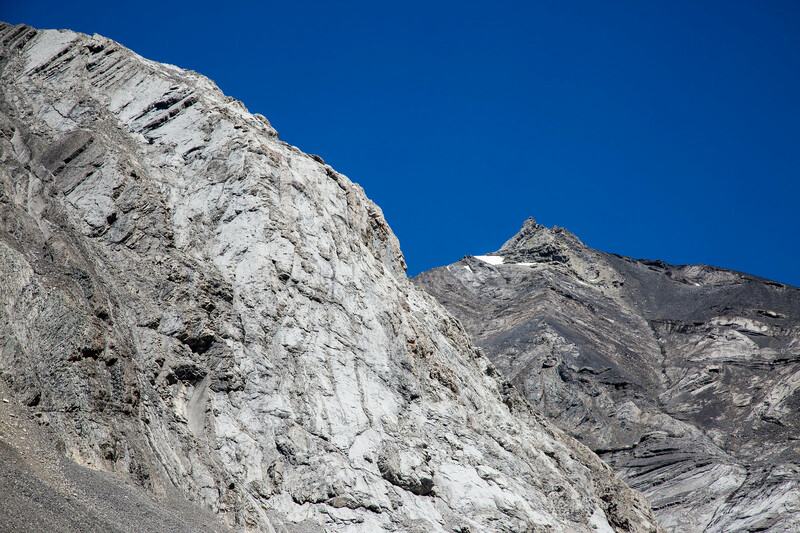 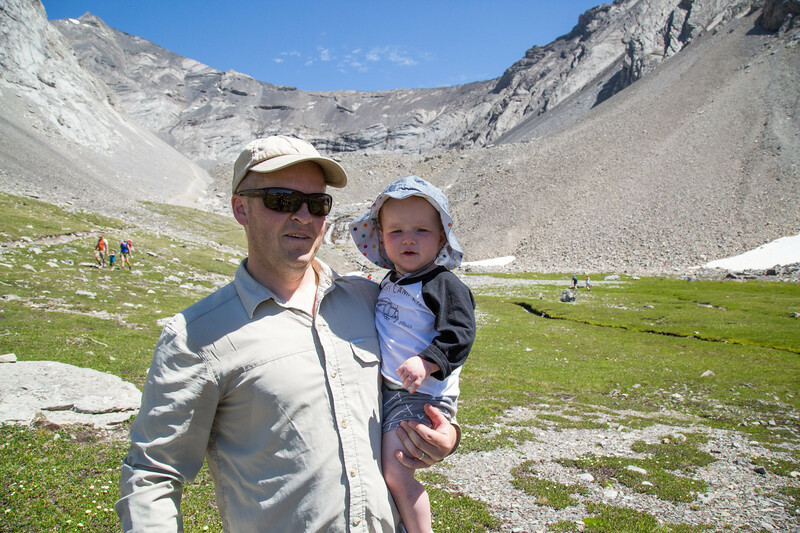 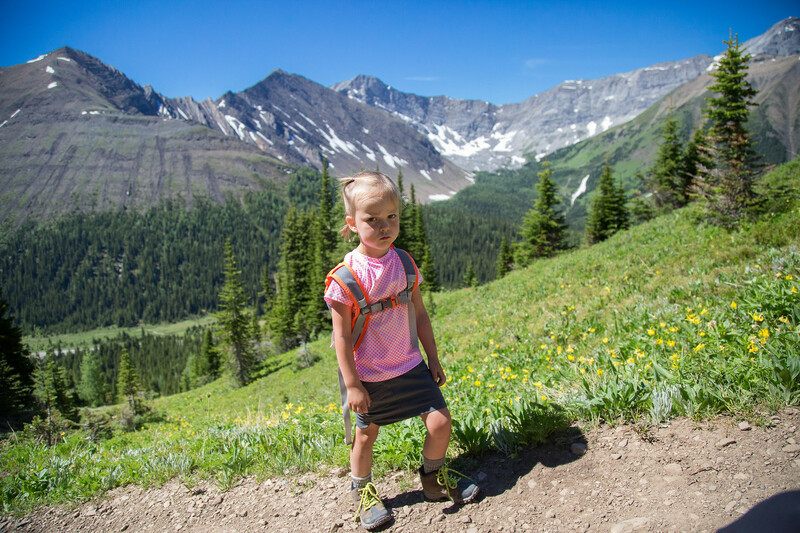 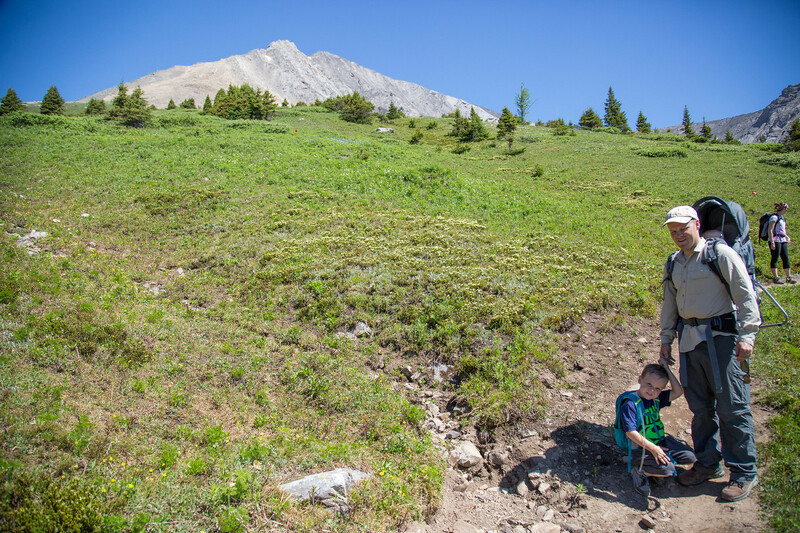 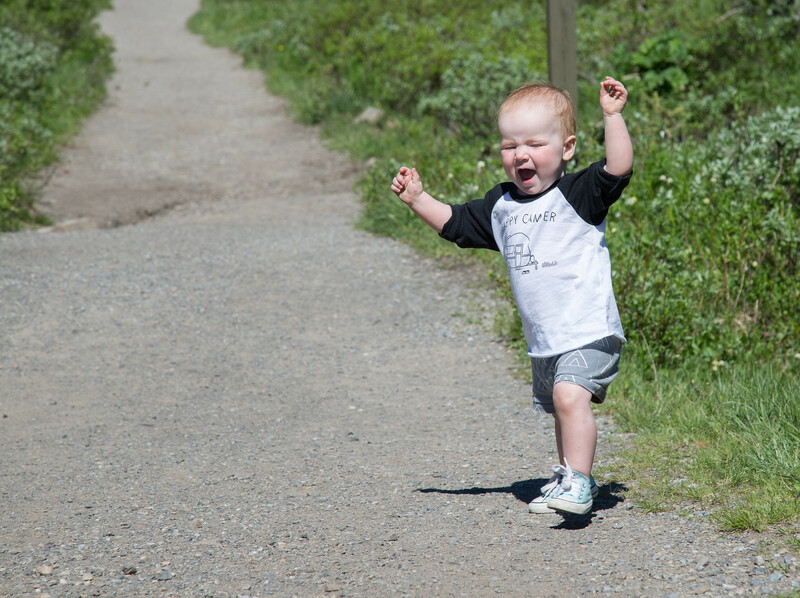 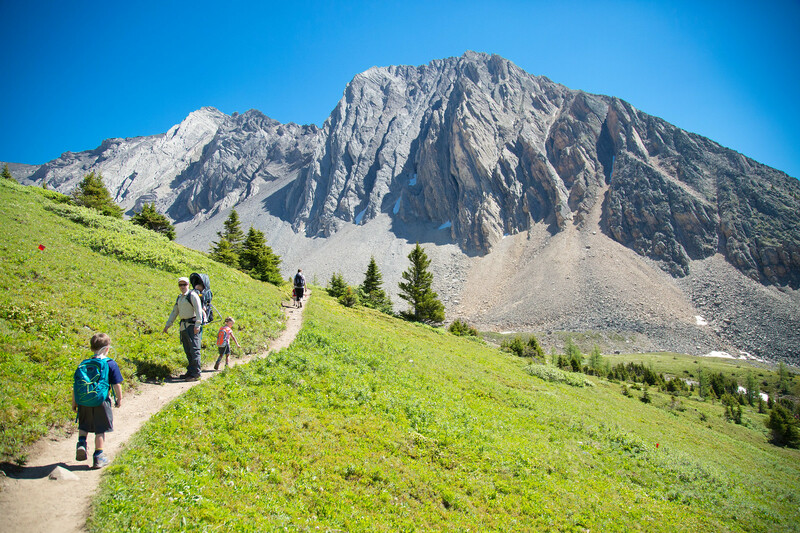 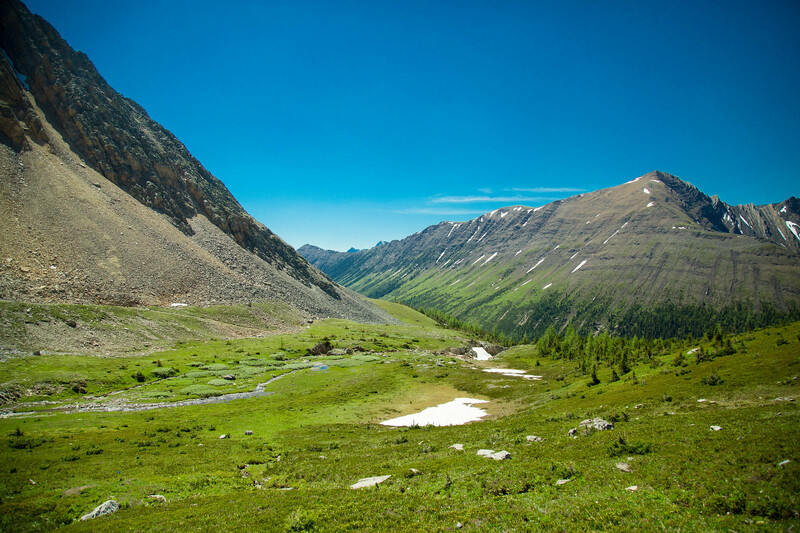 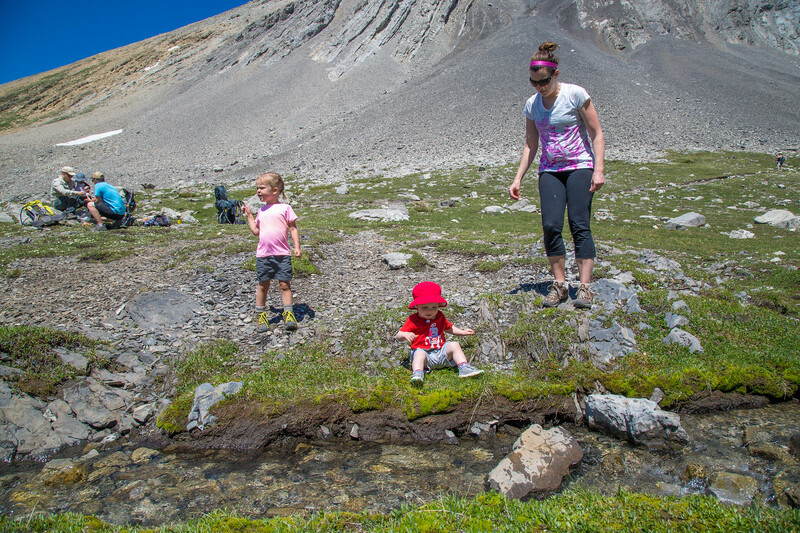 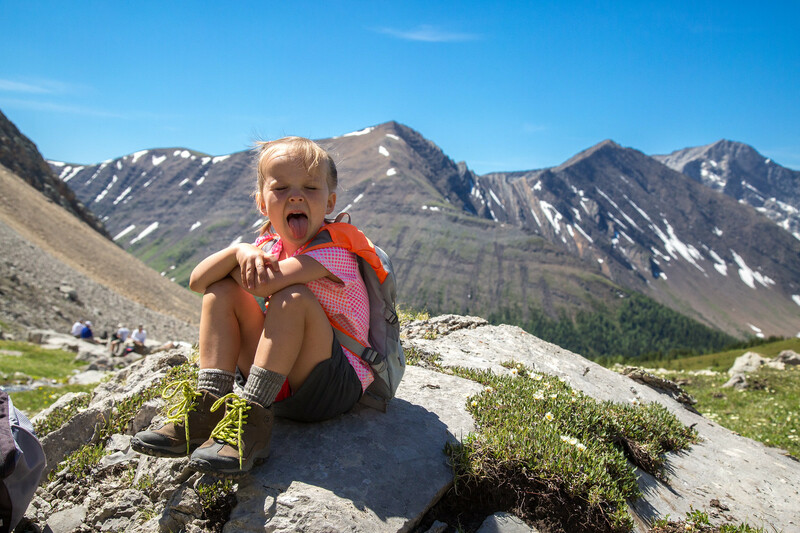 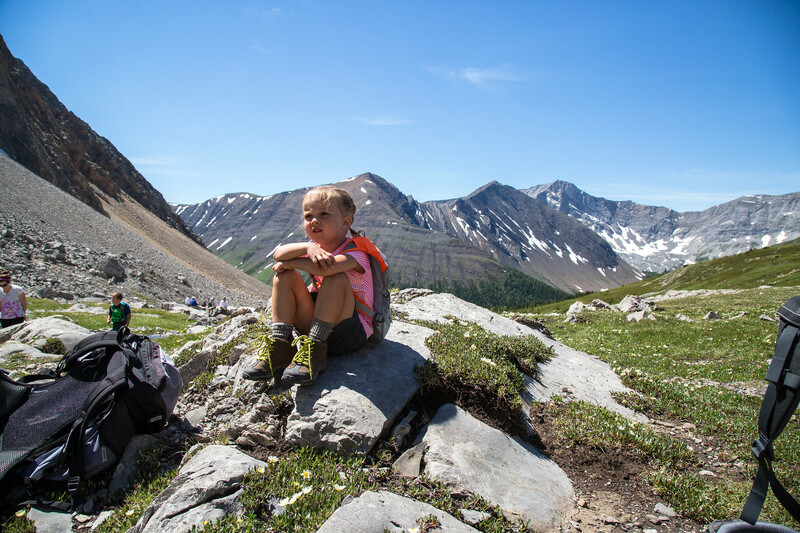 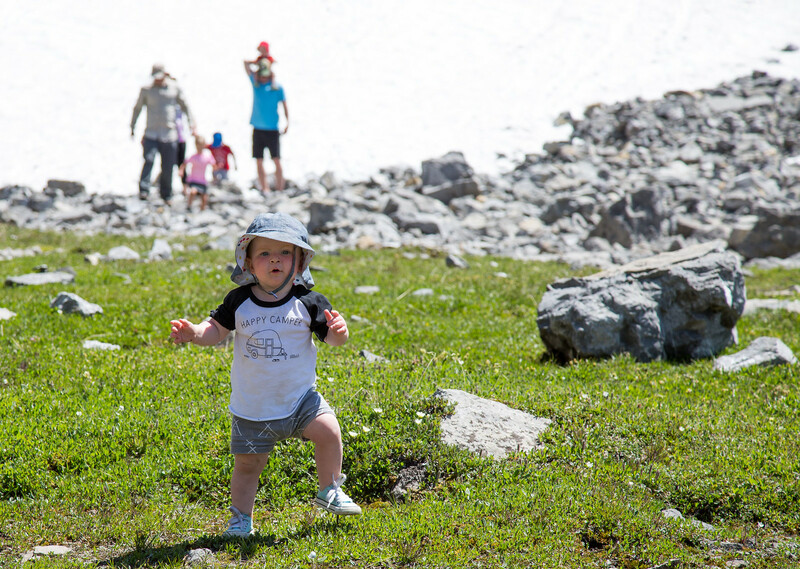 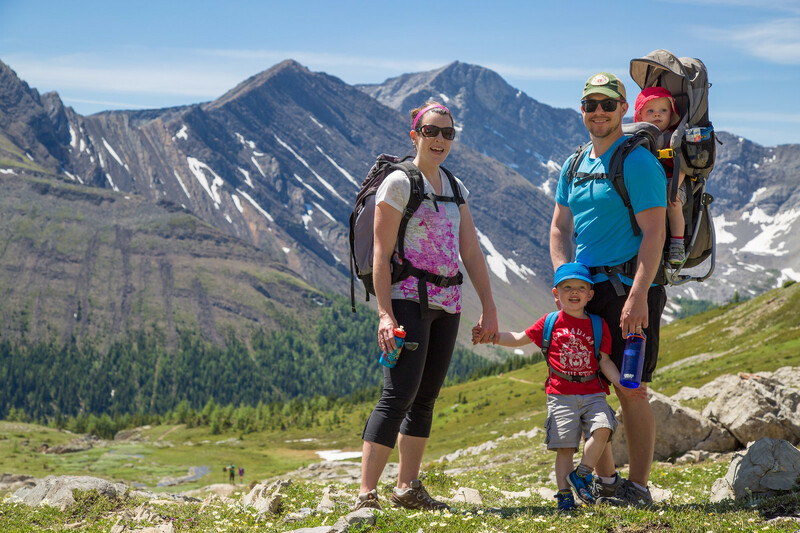 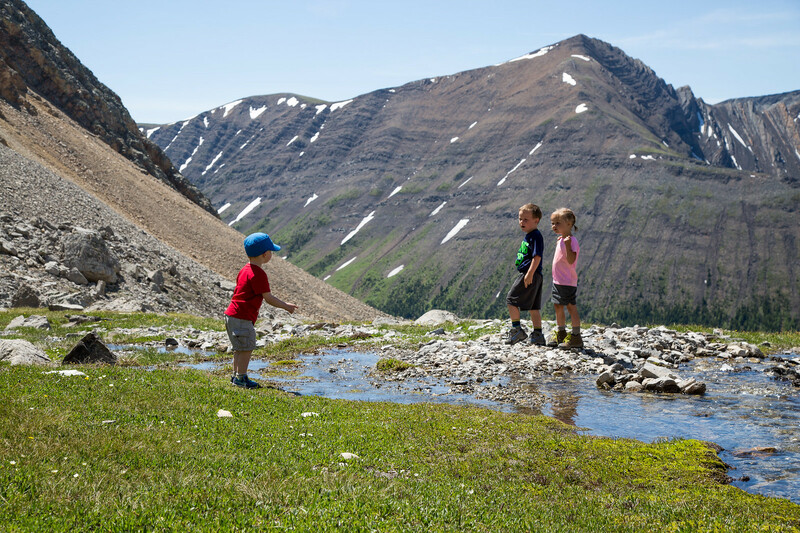 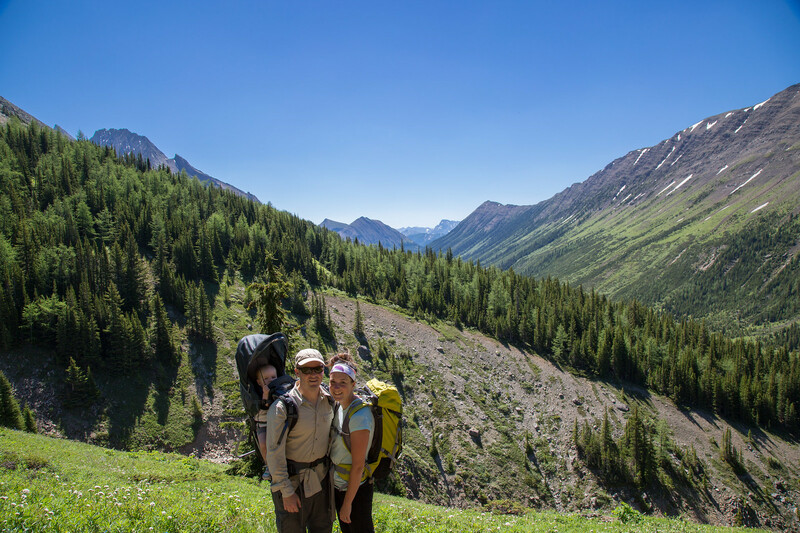 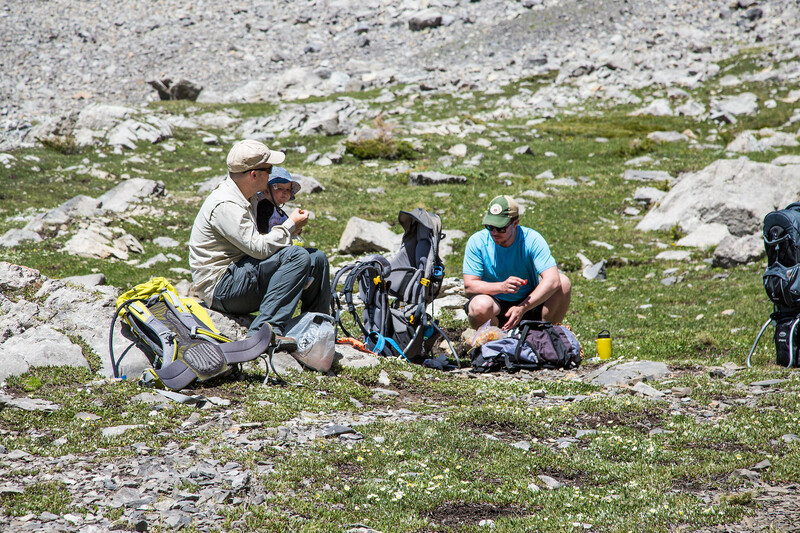 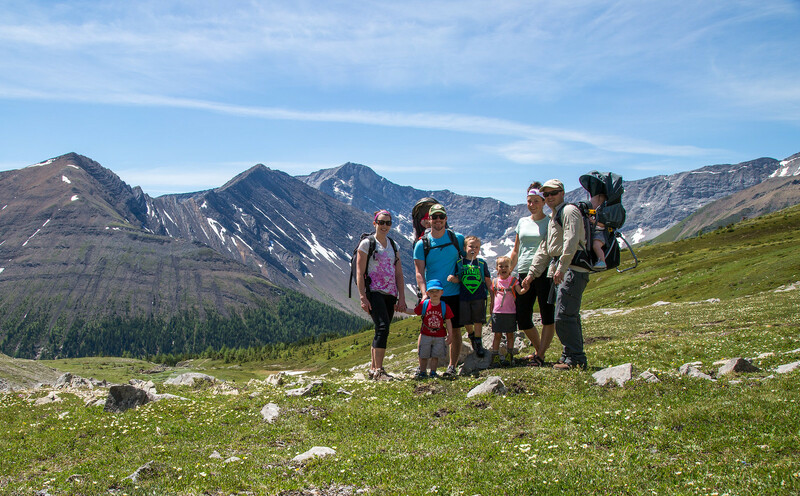 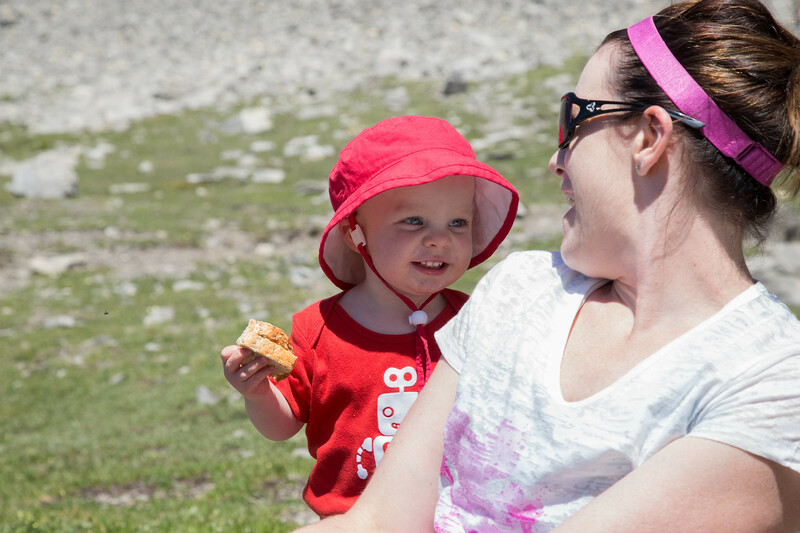 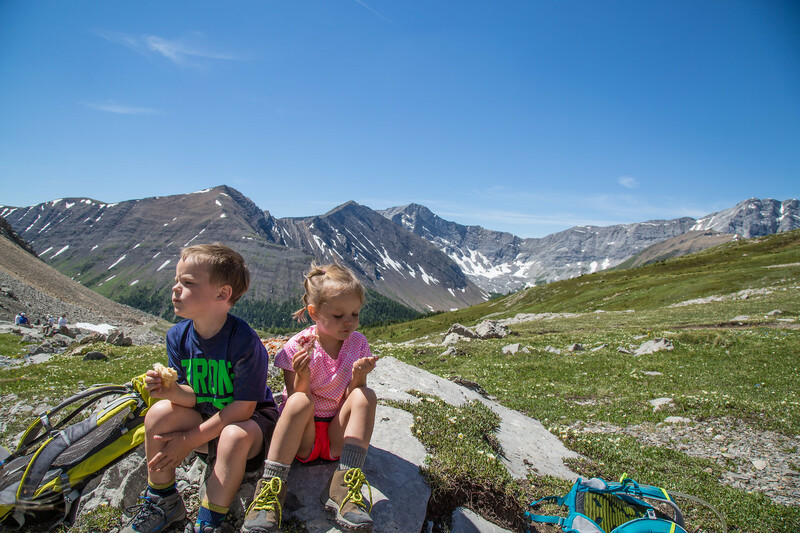 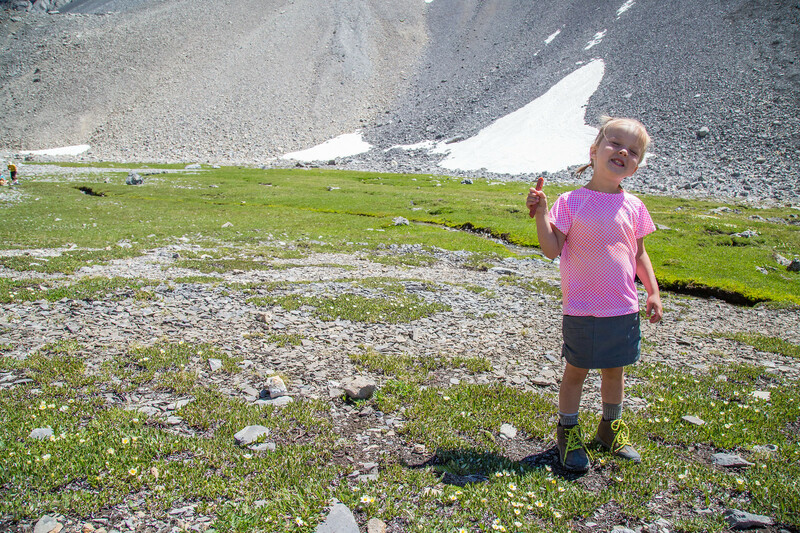 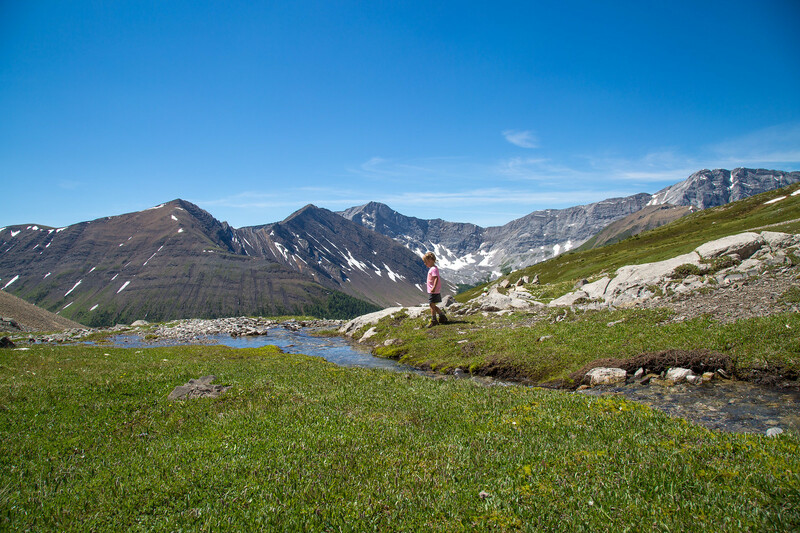 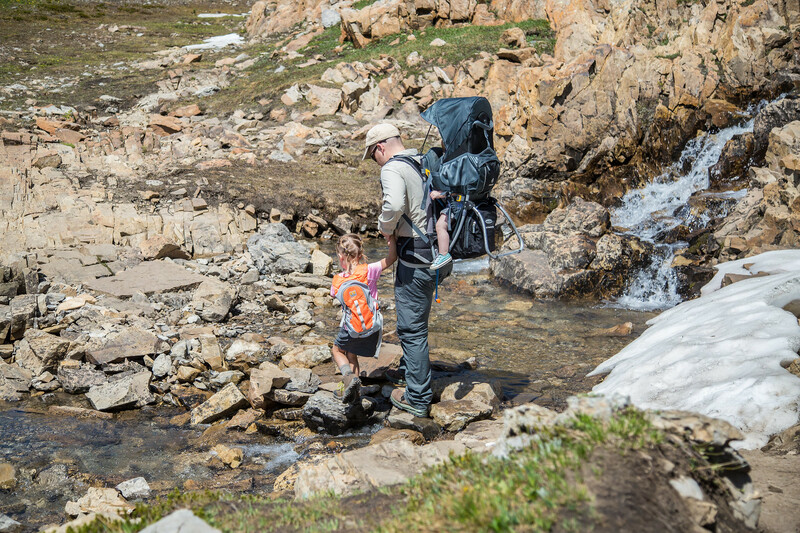 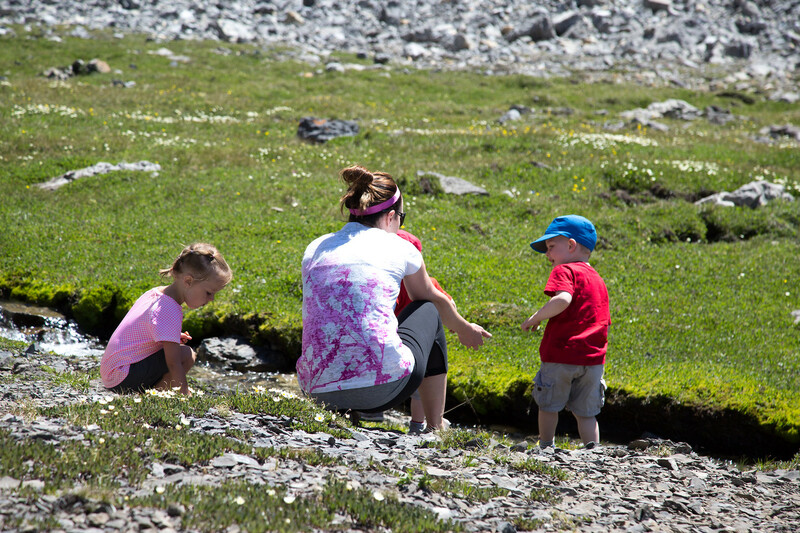 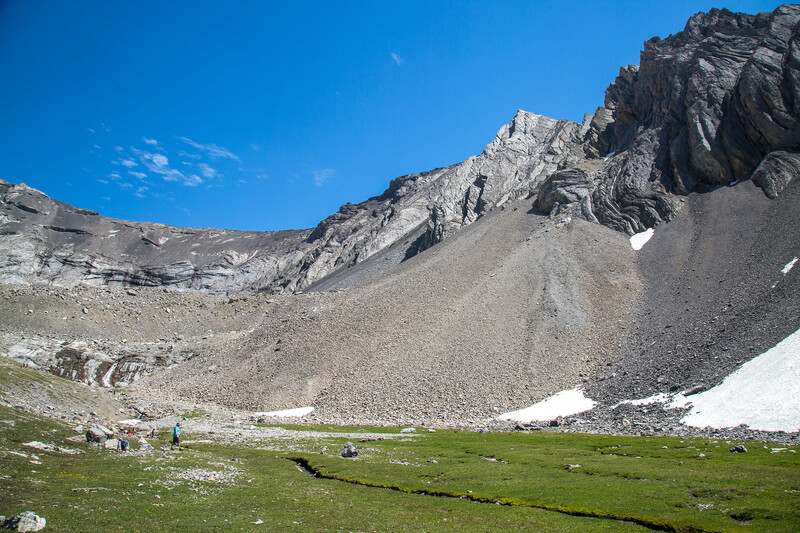 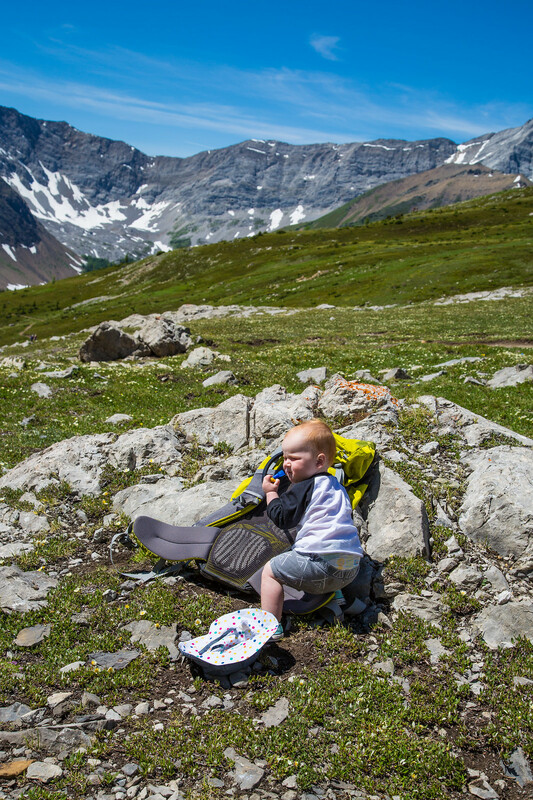 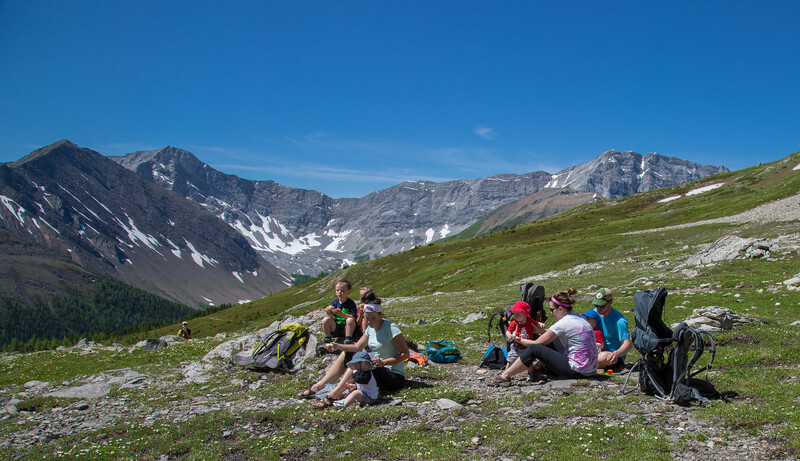 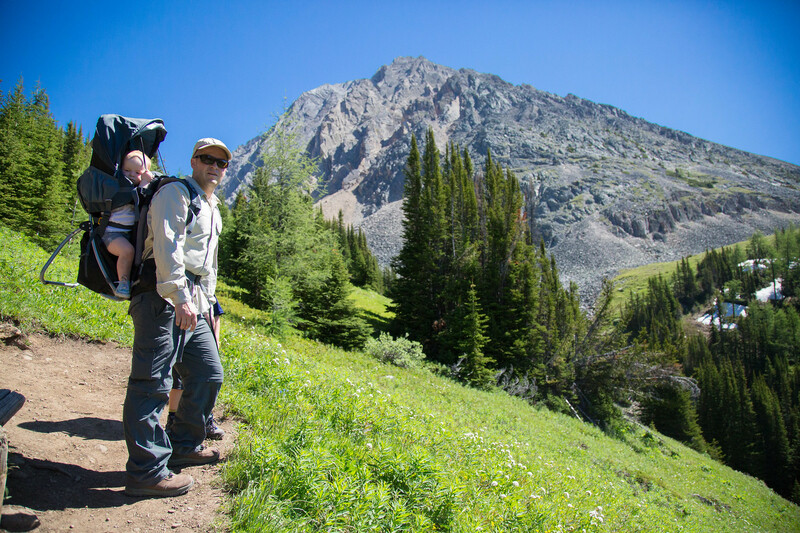 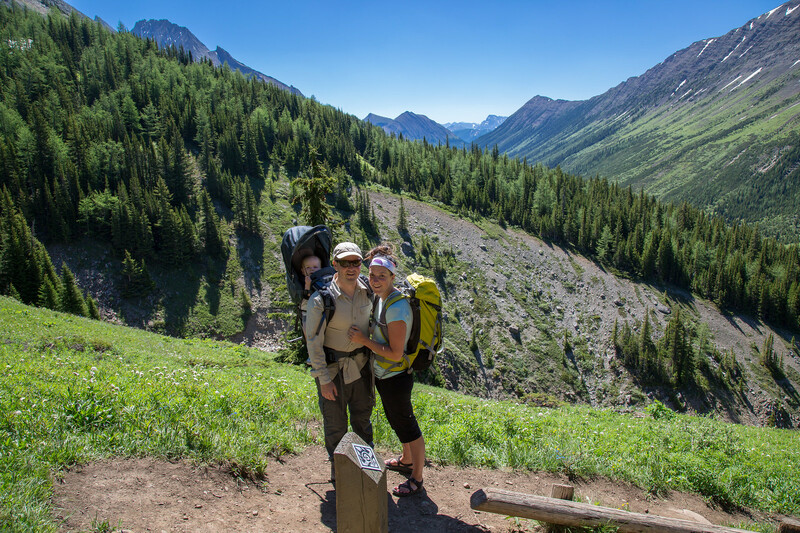 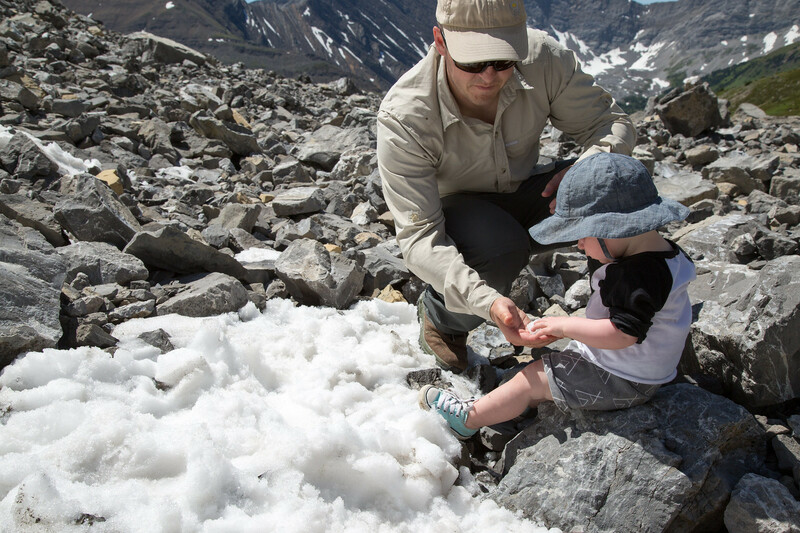 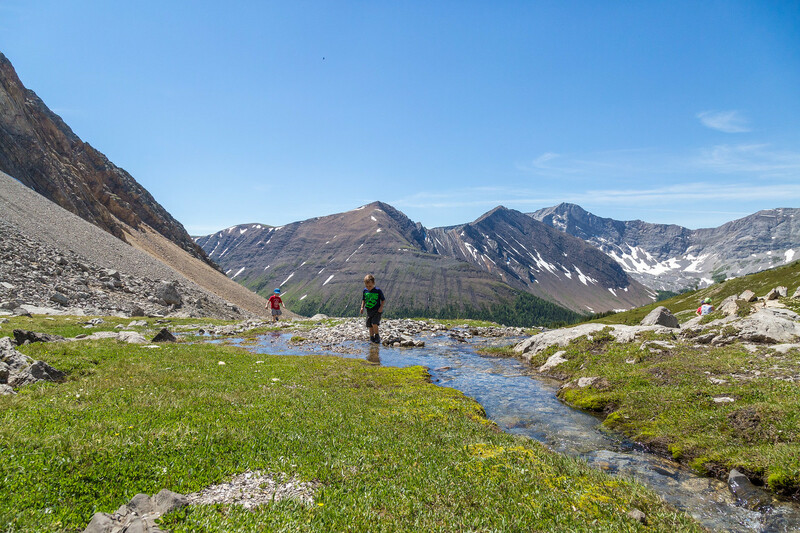 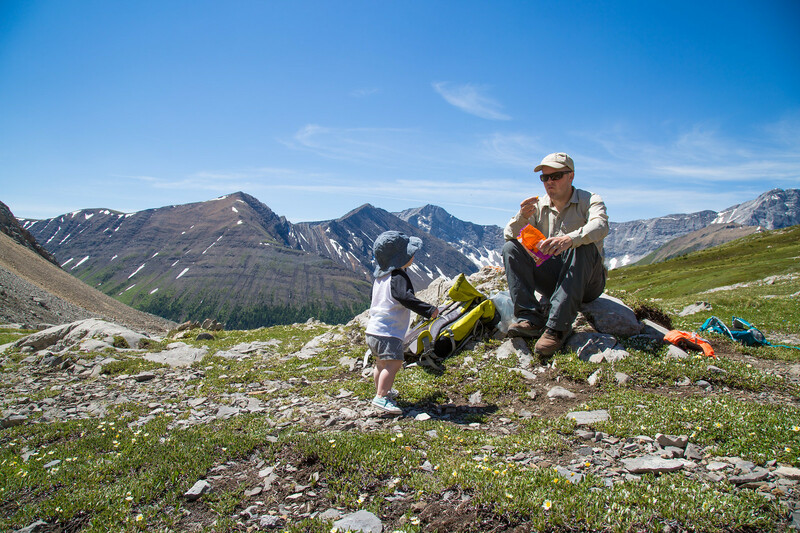 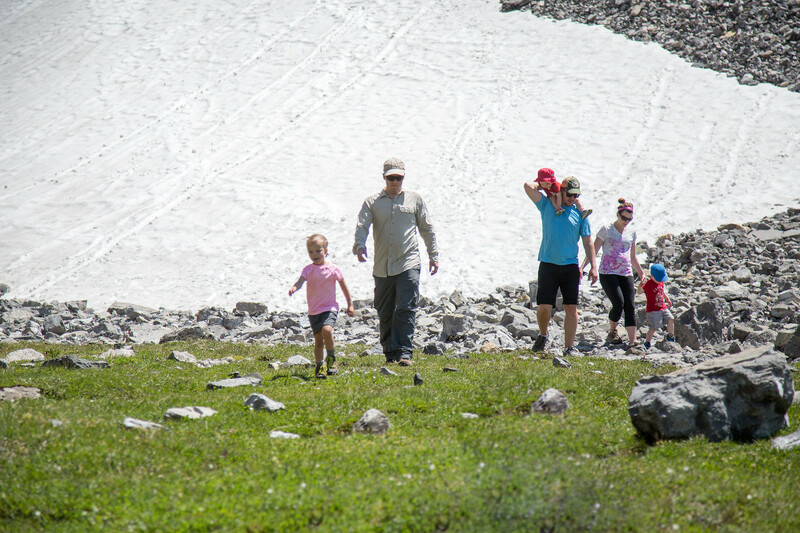 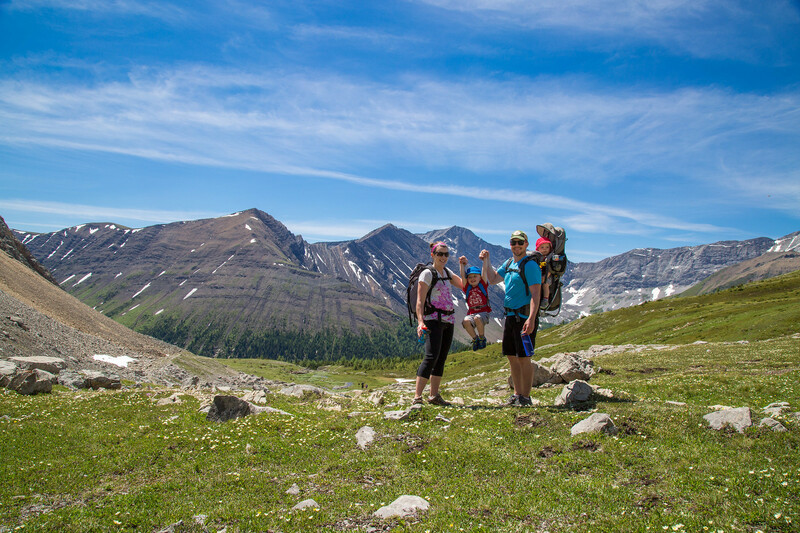 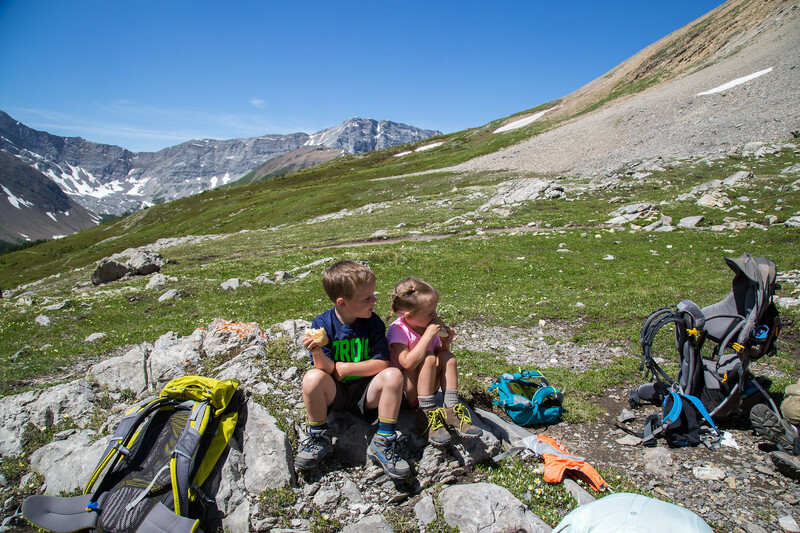 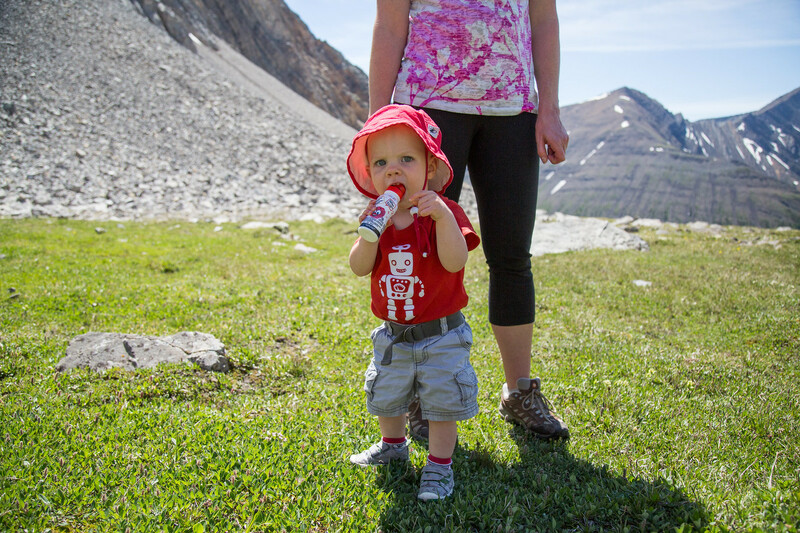 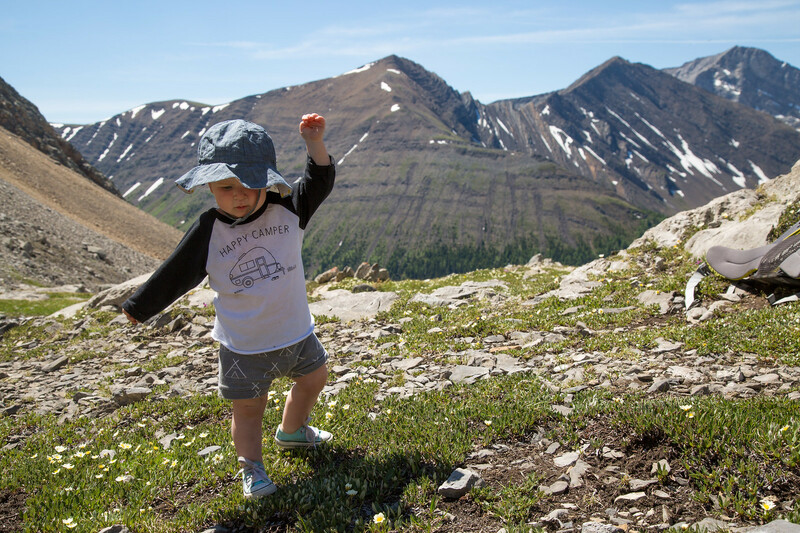 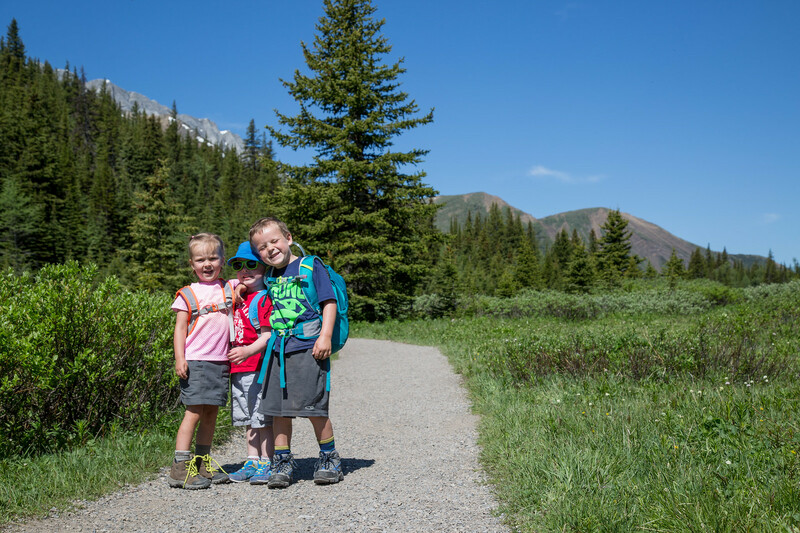 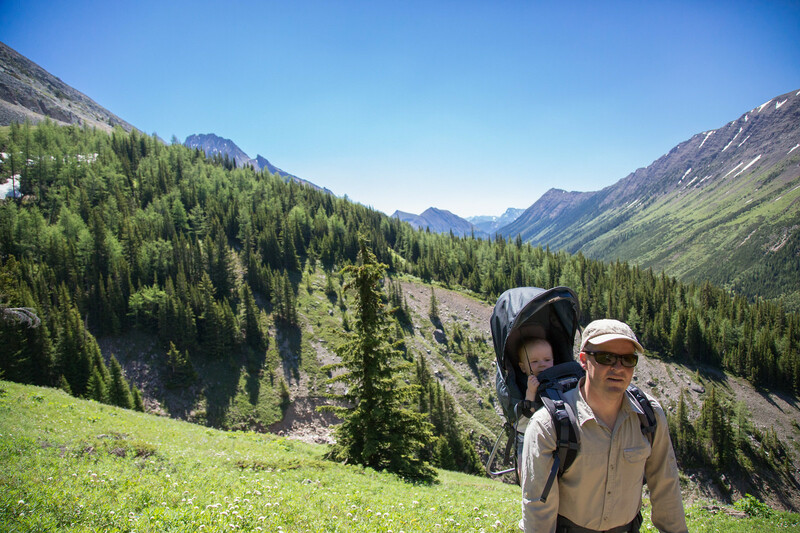 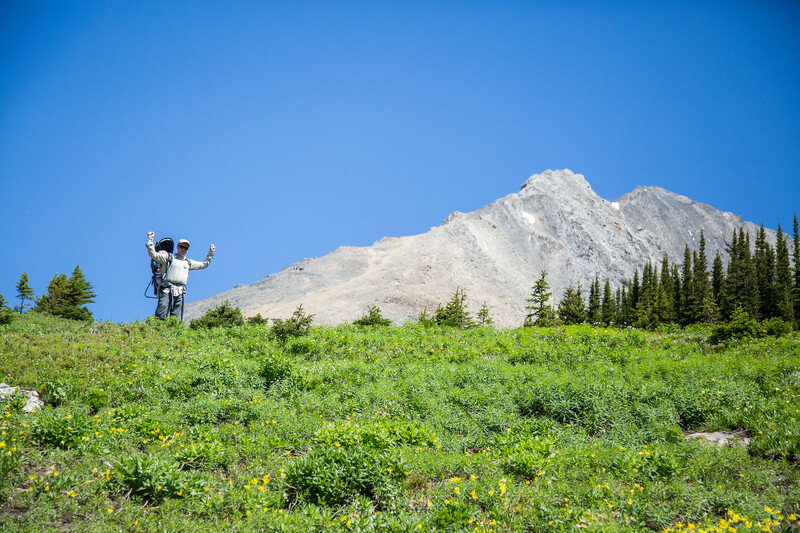 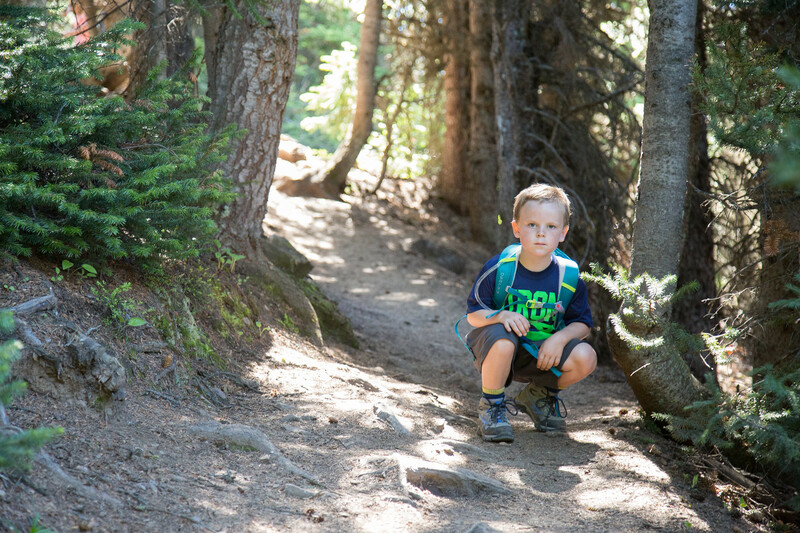 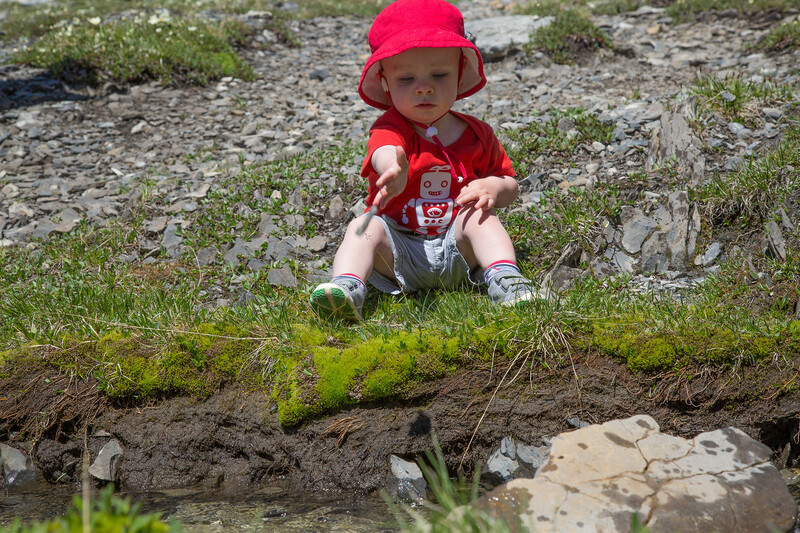 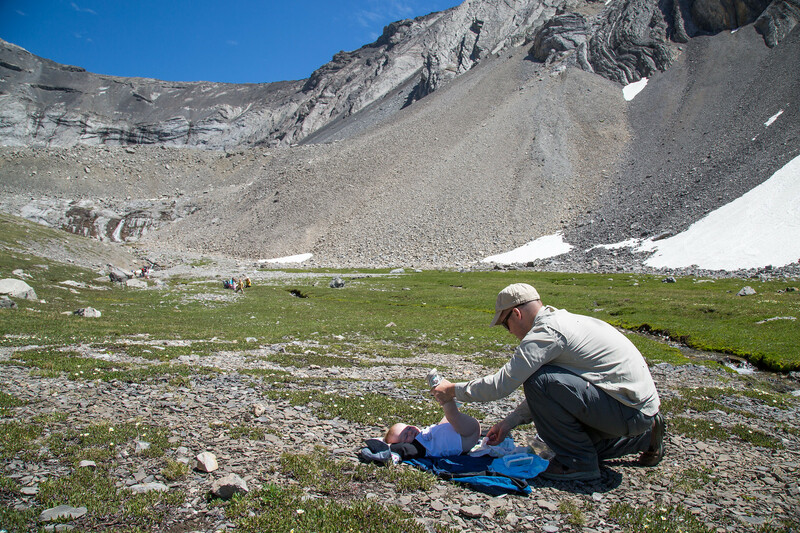 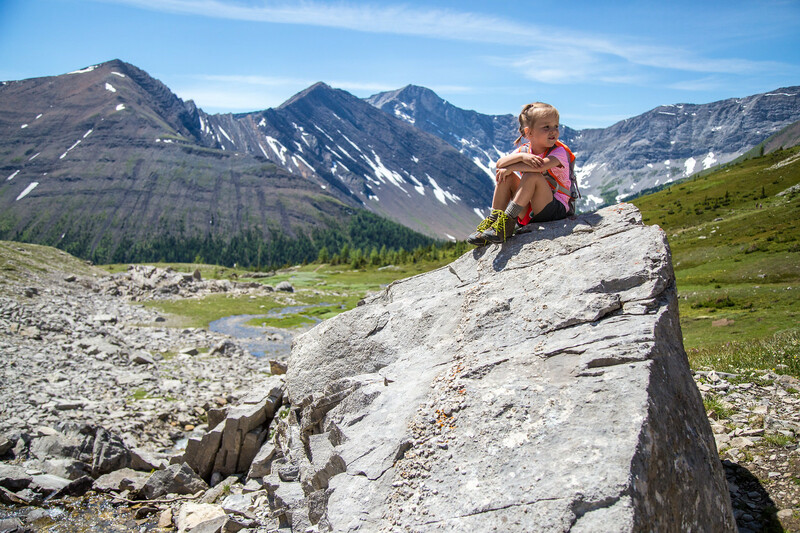 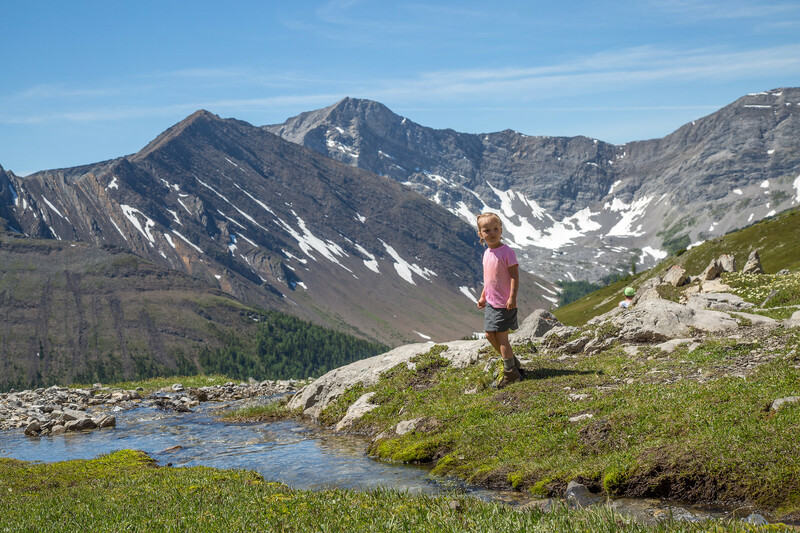 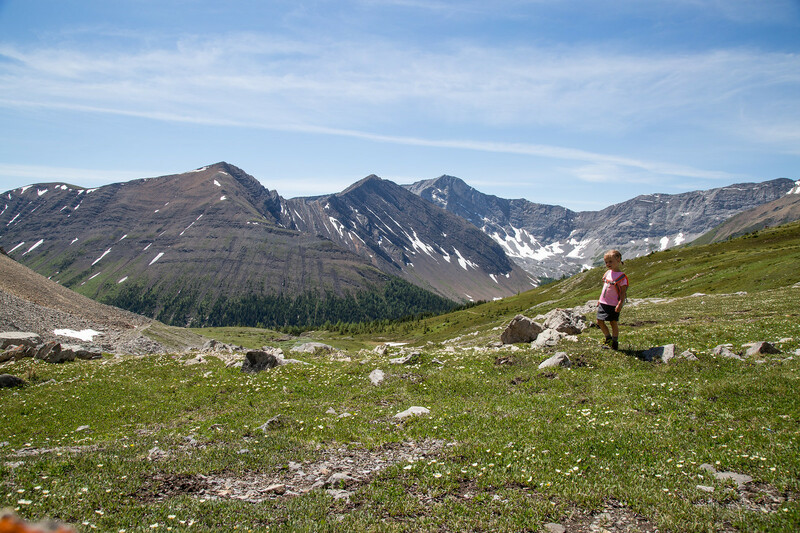 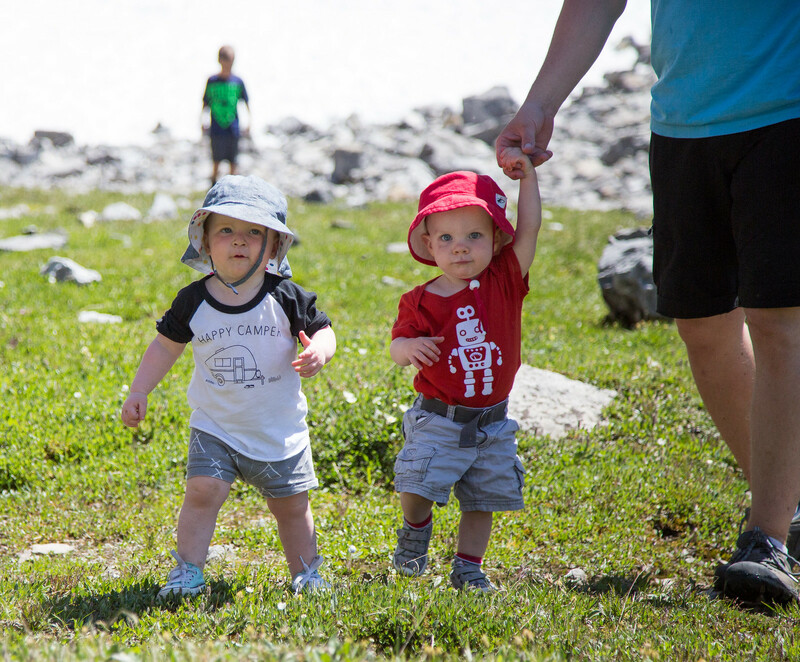 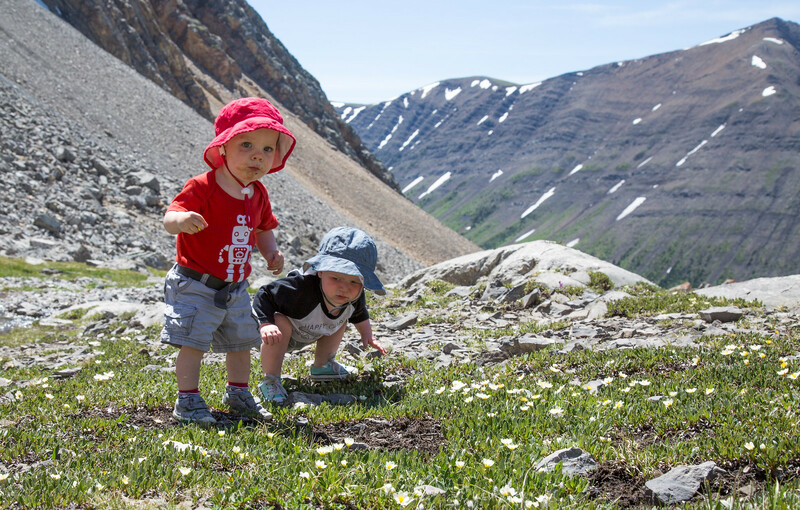 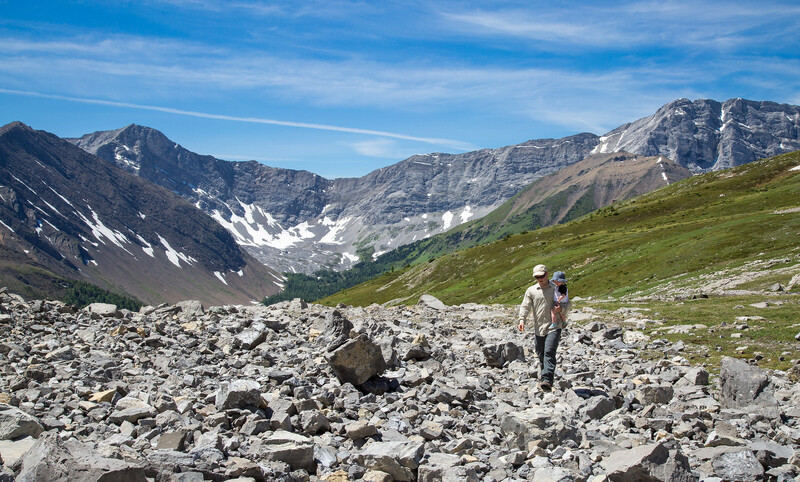 One of our all time favourite hikes is Chester Lake, in Kananaskis. 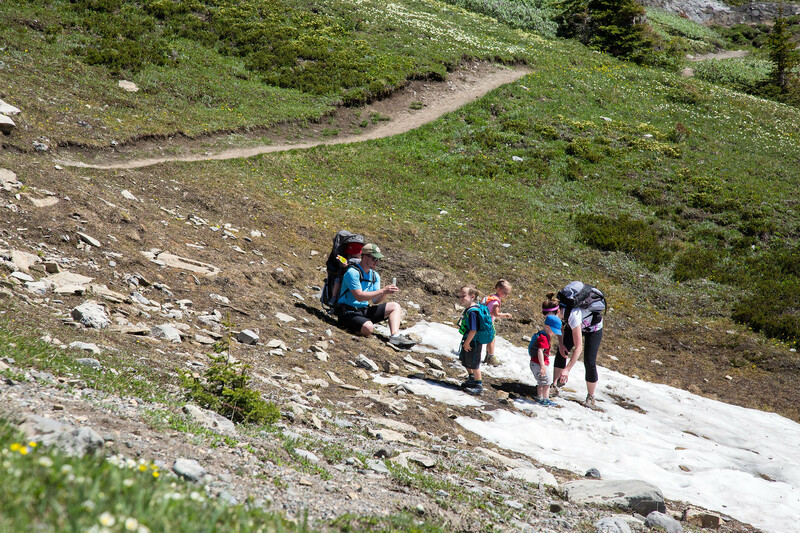 And every year when we try to hike it, it’s usually closed because of bears. 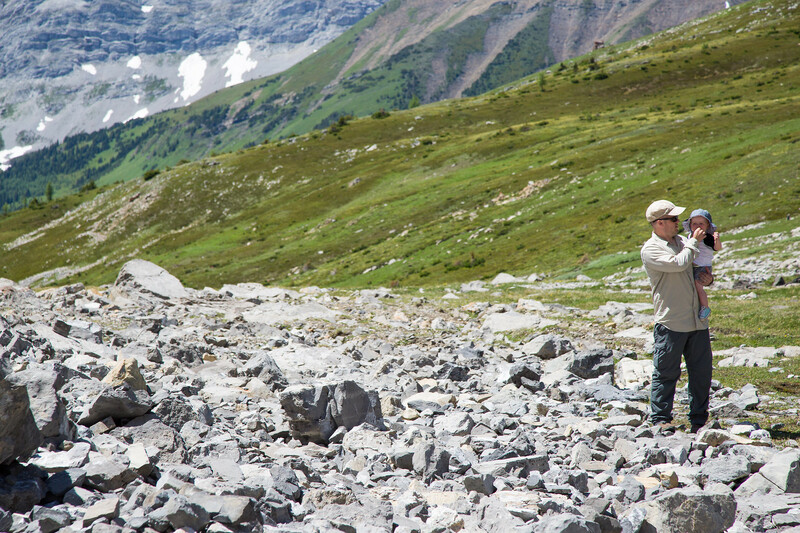 This year, it wasn’t bears, but the annual closure, so we missed it by 2 days. 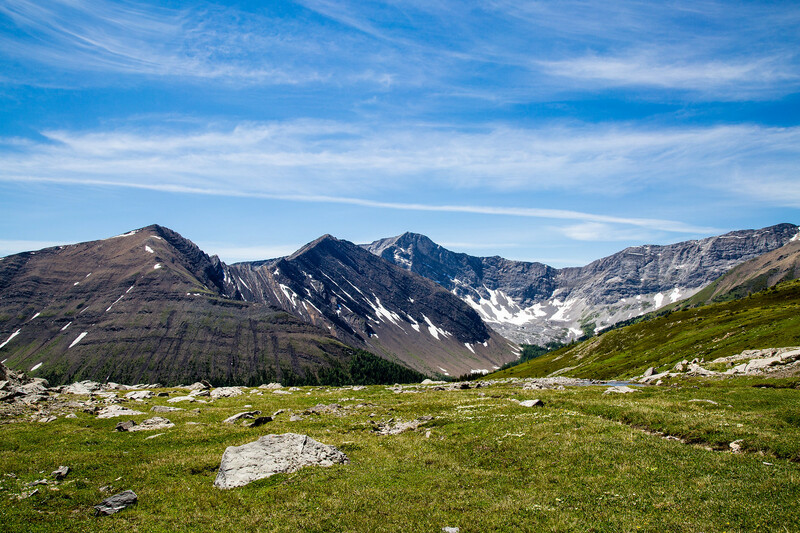 Urg. 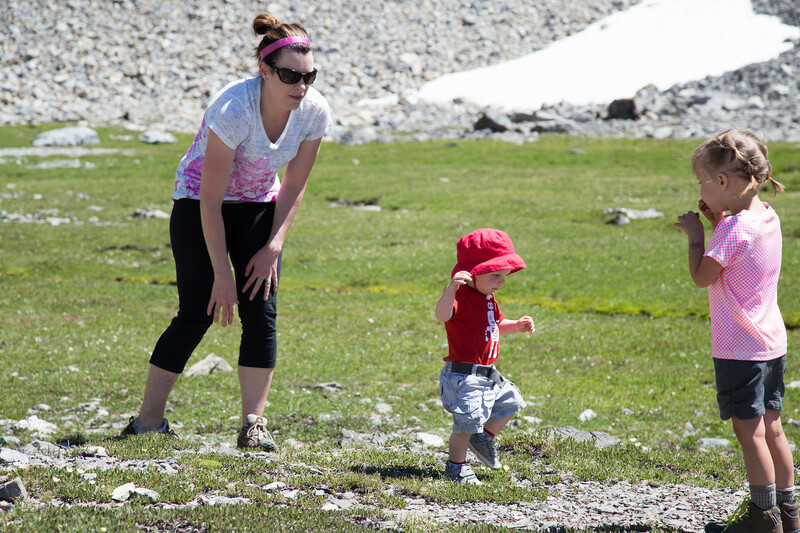 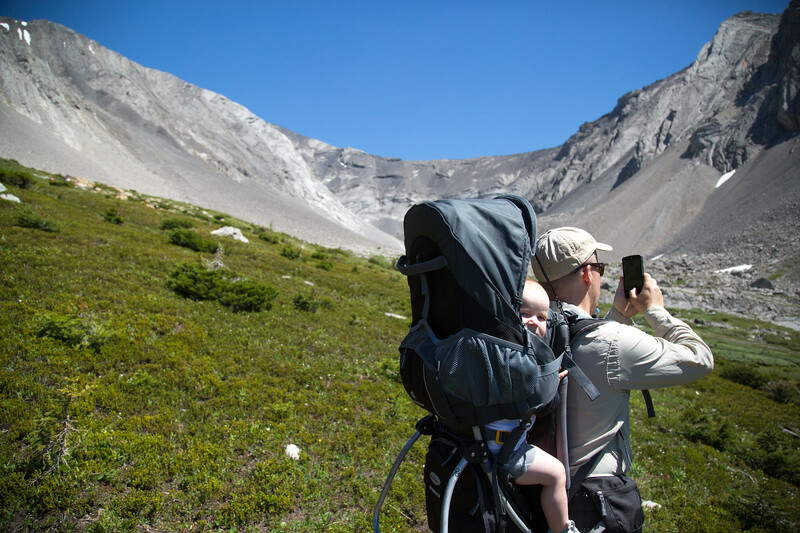 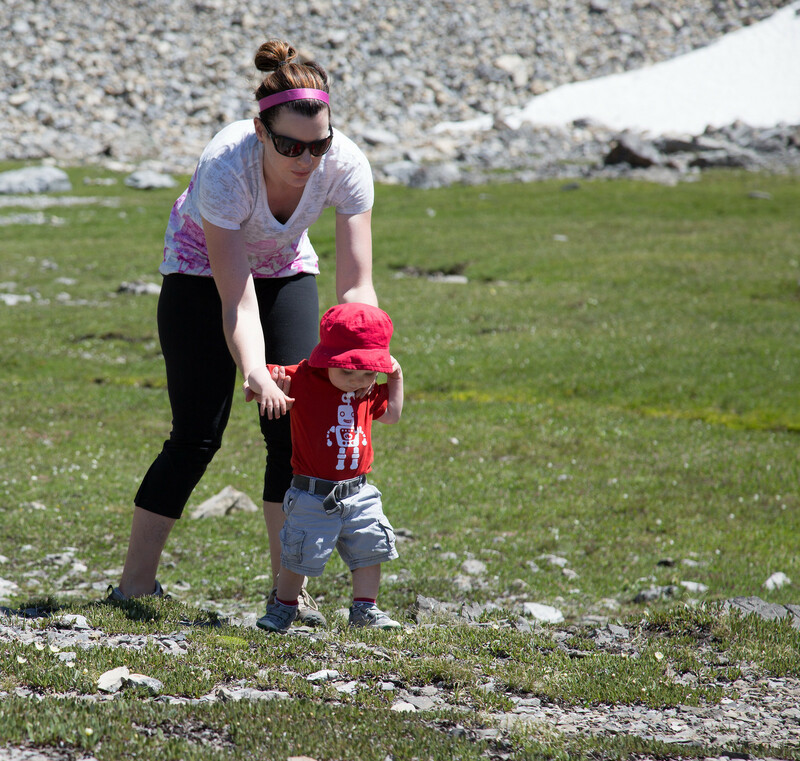 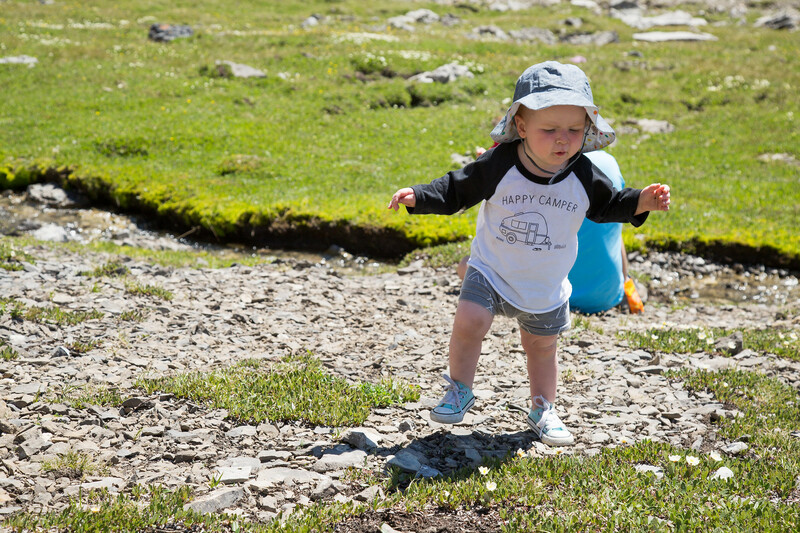 As a backup, we decided to try Ptarmigan Cirque. 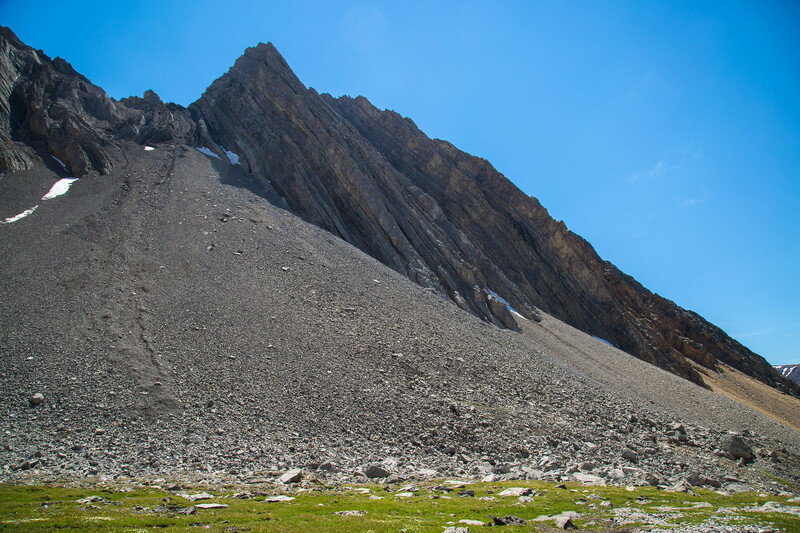 I had pretty low expectations, as it was pretty short, and there wasn’t even a lake at the end, but was I ever wrong. 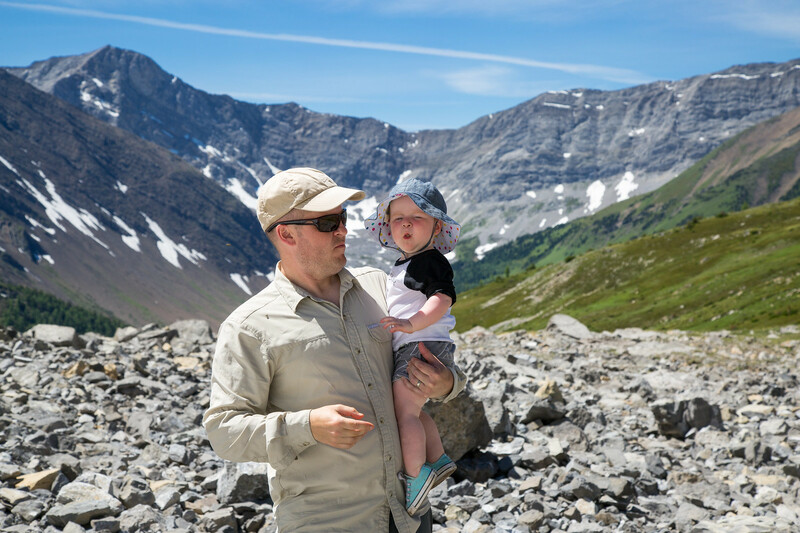 This place was spectacular! 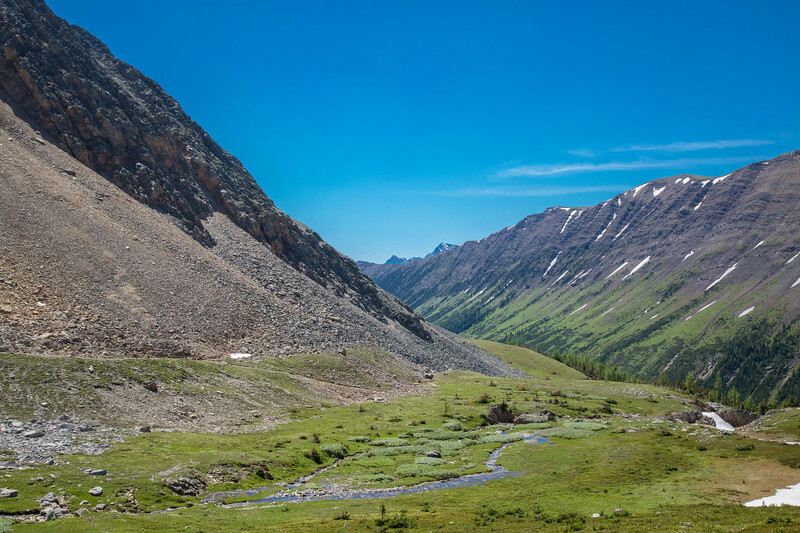 The views were insane with a little waterfall, and a tiny little stream running through the meadow, which was full of a billion different kinds of flowers, all in bloom. 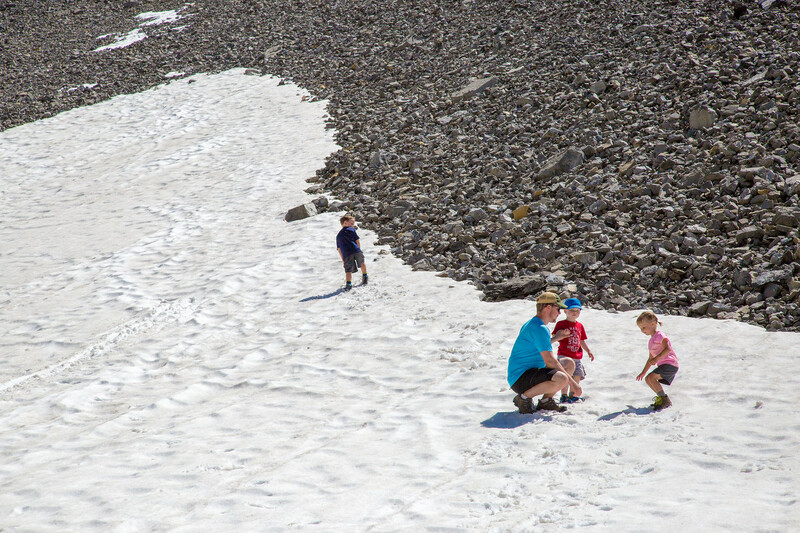 The kids had a blast playing in the stream, and sliding down the snow bank.